Real estate is not about bricks and mortar, it's about people's lives. Lisa and Christine's approach to real estate is simple, they find out what you want and what your expectations are and then set about delivering it. Going the extra distance in every single aspect of the job is something that just comes naturally. Their hands-on, down-to-earth, practical approach is refreshing to say the least. They won't make promises they can't deliver on. That's something they bring to real estate from previous careers in architecture and advertising. Together Lisa and Christine's extensive knowledge in property investment and development and amiable personalities sees them comfortable in all situations, equally capable representing both vendors and buyers. Ranking in the Top 2% of Harcourts Salespeople in New Zealand 2008/09, this team will ensure you will get the best of the best. Remember it costs you nothing more to have one of New Zealand's top performing Sales Consultants working for you. So if you are looking for a friendly, easy going yet professional sales team, call now. You'll be pleased you did! Born and raised here in the town of Hawera, my education background is that of Business and Finance. My past experience working in Retail and Private Security Contracting has taught me how to take care of my clients by prioritizing their needs. The skills I have developed in these jobs transfer well to my work in Real Estate, where providing excellent service is an absolute. Bursting with ambition and passion for Real Estate, I ensure to work around the clock to make every transaction as seamless and efficient as possible. I understand that trust is earned and maintained not only by the hard work I put into attaining the personal goals of my clients, but how I use my knowledge to guide them through the South Taranaki property market. Hi, I completed my training and licensing through the Harcourt’s Academy. Originating from rural Shropshire in England I previously spent over 26 years in the UK Police service before relocating to New Zealand with my locally NZ born wife and my son. I bring to real estate the values and life skills I learnt as a police officer in England focusing on honesty, personal integrity, a timely response , communication and problem solving in response to customer needs. I always think outside the box to obtain the best possible result for the client as no two properties are the same. Being used to working as an individual and a team member in a team environment I am focused on achieving that positive end result for you the client. Having been interested in property markets from my early teens, and being involved in the restoration and improvement of property with the added value it brings, it has enabled me to move up the property ladder. I am able to look beyond the current fabric of a building and see what improvements can be made, both in relation to the preparation of the home for sale, as well as what could be from a prospective buyers point of view. I have built a new family home on a section having designed the property along with my wife using a base plan and the many challenges that brings. Having won both the rising star award for the Wellington Region and numerous other sales awards, I am committed to achieving results for both seller and buyer alike. Due to sucess I have bought my wife on board who also holds a sales persons licence and supports in me the role. Repeat business is always the best measure of a job well done! Home buying and selling should be a fun experience for all. It is after all your biggest investment! Selling your property can be one of the most financially and significant challenges that you will encounter. Therefore when choosing someone to market your highest value asset, it’s important you are provided with a professional, carefully planned out marketing strategy, with as less stress as possible. Having spent the majority of her career in Sales, Marketing and Customer Service, Teresa’s passion and drive for people and property is evident from the first time you meet her. Focused yet down to earth Teresa strives to ensure she is always providing you with quality feedback and information, in a timely manner. When it comes to making educated decisions about your property it’s important to know you have an agent who is constantly delivering on relevant market knowledge. Shane has been actively involved in Hawera Real Estate since 1988 from small beginnings as a Sales Consultant for a stock and station company to owner operating Hawera’s and South Taranaki’s No. 1 Real Estate Company. From his first days on the job Shane has always been a top performer in the Hawera Real Estate market and has a natural affinity for dealing with the public and a belief in getting the job done. In 1995 Shane and his wife Annette took the natural progression of real estate Sales Consultants to Business Ownership and opened Harcourts Hawera. The business model of utilising the national dominance of a major real estate player i.e. Harcourts combined with the strength of local knowledge and relationships appealed to Shane & Annette. And so Harcourts Hawera was born and has grown from a staff of four to a highly professional and successful team of 12 which includes Sales People, Property Managers, PA’s and Office Administrators that have dominated the Hawera Real Estate market since its inception. 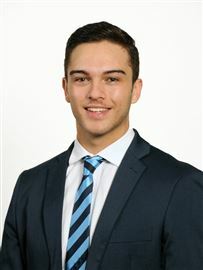 Shane sold the Sales division of Harcourts Hawera in 2014 and has since moved into a management role within the Harcourts Hawera Property Management company which he retained. Along with his colleagues he is happy to provide you with the most knowledgeable professional property management advice in the South Taranaki area. When Shane isn’t working he can usually be found on a golf course somewhere or during summer out at the beautiful Lake Rotorangi water skiing with his family. Turnkey Rental or First Home? Ready For You And Ready Now! Develop or DIY - You Decide! Your Slice of Country Pie! Do You Have Grand Designs? Check this out for Value!